No More Floor Clutter - Just Hours of Fun with VertiPlay Wall Toys! Every parent probably says this phrase a dozen times a day without even knowing it: "PICK UP YOUR TOYS!". Children get tired of hearing it and parents get tired of saying it! But now there is a solution and Oribel is changing the way parents speak to their kids. 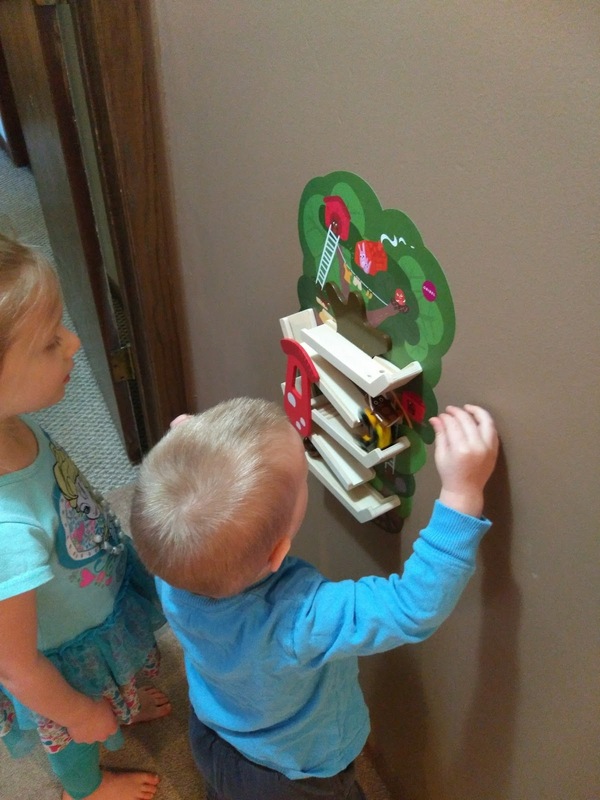 With the launch of VertiPlay™toys, parents won’t need to ask tots to pick up their toys because these visually pleasing toys stick to a vertical surface! There is nothing to trip over, no parts to retrieve from the carpet. You just place these awesome toys at a child’s height and let their fingers do the playing. Parents who have seen these toys immediately remark how they remind them of their childhood playground days. Rather than sitting on the floor or at a kitchen table, as most toys are played, kids on the playground played standing up. Everyone was free to run around, making playtime extra fun. VertiPlay™ brings back this feeling while also serving as adorable wall art. If there is a smooth, non-textured surface -- like a door or wall -- then there’s a ready-made spot for VertiPlay. 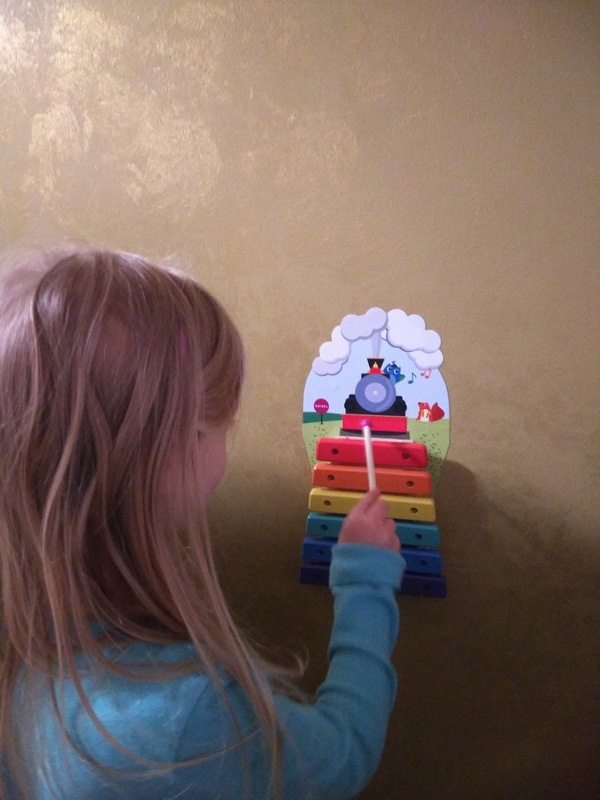 The toys adhere firmly to vertical surfaces through a strong, specially made adhesive film. Grownups can remove the toys and affix them back elsewhere without damaging the paint or the wall. Oribel’s design team worked tirelessly to ensure that the toys are instinctive, offer great play value plus look great. Best of all, they deliver on several vital child development objectives! Building dexterity, discovering cause and effect or appreciating the concept of balance is all child’s play with these adorable room additions. 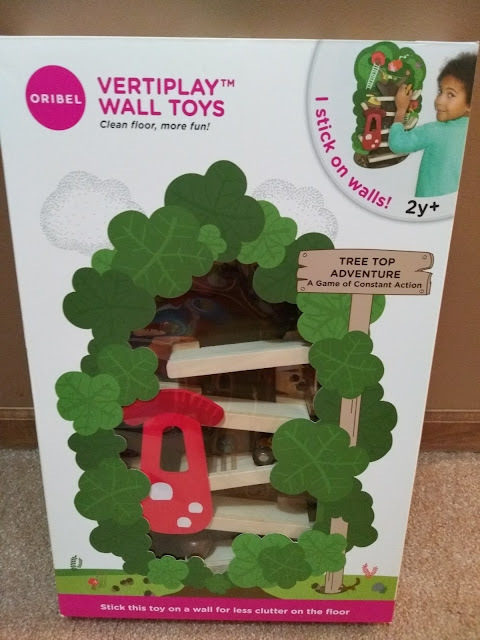 My children are LOVING our new VertiPlay toys that are now placed at different spots around the house! I love that I am not tripping over these toys, nagging to pick up and they are never an eye sore or take up floor space! At music time during our home preschool, my children run to the VertiPlay™ Musical Rail Track - Xylophone and love playing it as we sing and dance to music! Choo choo! 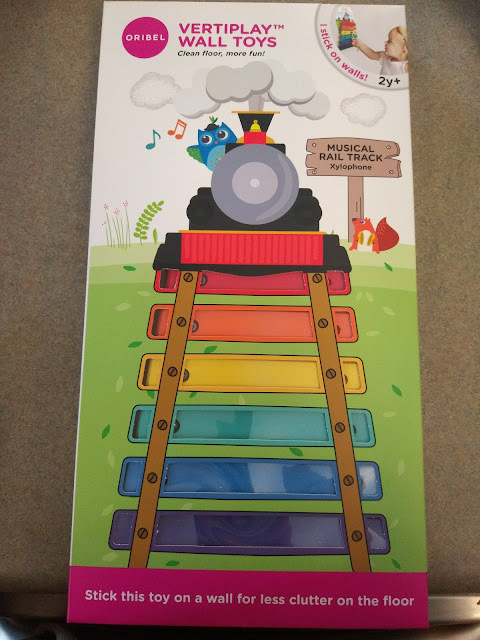 This unique rail track rings a musical tune to welcome the oncoming train. The xylophone can be tuned -- by tightening or loosening the screws on each wooden bar -- to achieve an accurate pitch. And my children also played for hours with the VertiPlay™ Tree Top Adventure! Mr. Caterpillar is in a big hurry as he whizzes down the magnificent tree. 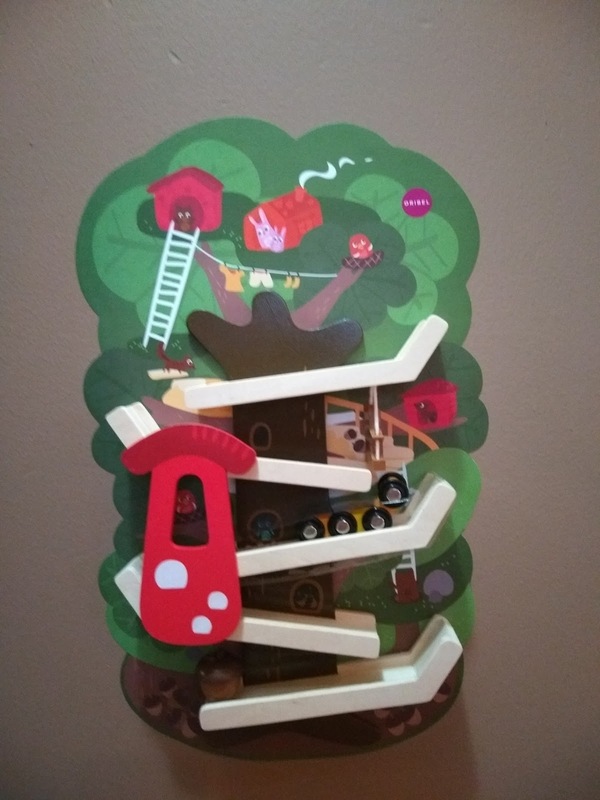 On his way down, he slides into the mushroom tower then uh oh! He knocks against the swing; speeds down a rickety slide and finally lands at the bottom. This preschool adventure is filled with sounds and movement that tots will want to play again and again. This toy was great for teaching taking turns, cause and effect and is just plain fun to watch! I am loving that these toys take up NO floor space but provide hour and hours of fun, smiles and learning! ALSO, Make sure to use discount code VERTI10 to get 10% discount off your purchases valid from today till the 28th of Feb at www.loveoribel.com. There is free shipping on orders over $100, always.